The Health and Social Care Bill was published on 19 January 2011 and will proceed through the Houses of Parliament over the coming months. Dr N Hartington LDS. DGDP. RCS(Eng). 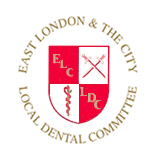 What is the London Dental Committee (LDC)? The Committee is a statutory body representing in the main General Dental Practitioners,(GDPs) based in the Primary Care Trusts area of the London boroughs of Newham, City & Hackney and Tower Hamlets. Other may be co-opted to represent special groups. As the local representative committee for independent Dental practitioners, the LDC has the statutory right to be consulted by the above Primary Care Trusts and Strategic Health Authority on issues relating to the dental profession including negotiations around Personal Dental Services.